Do you consider yourself a coffee lover? Perhaps you enjoy a good cup of coffee once a day...or maybe it's a whole pot? But have you ever stopped and wondered just how much more you could enjoy coffee if you just knew a little bit more about it? For example, did you know that there are more than a handful of different ways to brew your morning "cuppa Joe"? 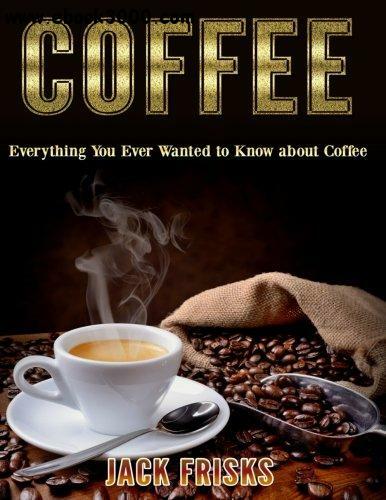 "Everything You Ever Wanted to Know about Coffee" is designed to teach you more about coffee than you ever imagined you wanted to know. Don't worry, we're not about to take you through the anatomy of the coffee bean (is there such a thing?) but we are about to open your eyes to a whole new world of coffee flavor! From the differences between the different types of coffee plants, to the differences between roasting, grinding and brewing methods, this book will make sure that you are equipped to make the best cup of coffee of your life by the time you put it down!